Designed by legendary Swiss watchmaker Breitling, this robust black rubber strap watch represents the ultimate aviation instrument. 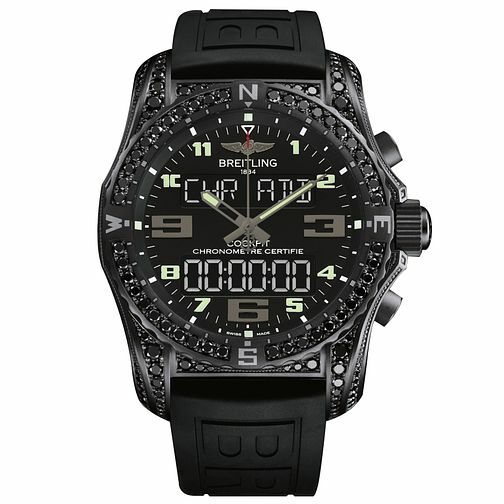 The Avenger Cockpit B50 mode features a black ion plated case, both digital and analog display, a ultra legible dial and classic Breitling logo branding, this timepiece is second to none. With stone set case and bezel for an added style statement.